New book, 315 pages. In this book, CIA veteran Floyd Paseman reveals his fascinating career in Cold War covert operations in Asia and Europe from the 1960's to the present. 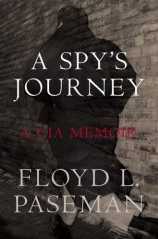 Dedicated and determined, Paserman mastered espionage methods and foreign languages, he quickly rose from field spy to division chief and became a fixture in the top ranks of the Operations Directorate of the CIA. His story mixes real-life derring-do as a spy in the field with his observations on the sweeping and often negative changes that came with each new presidential administration. This item was added to our catalog on Friday 28 July, 2006.